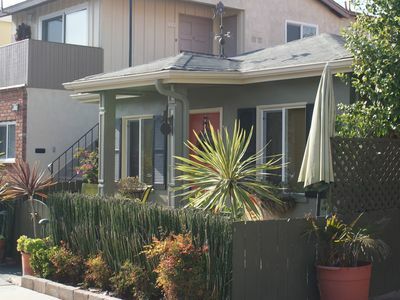 Wave House is a 3 bedroom/2 bathroom oceanfront vacation home located in Corona Del Mar. 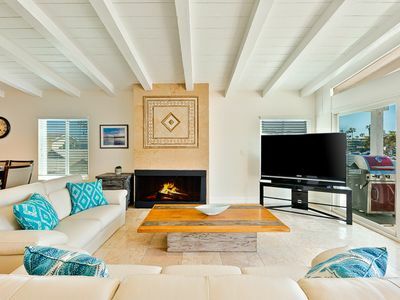 This beautiful beach home is situated on Ocean Drive right above Big Corona Beach one of the most sought-after beaches. 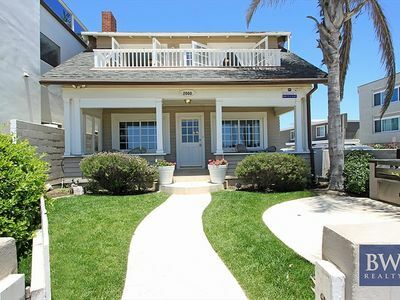 Walk out the front door and down a private set of stairs for direct access to the beach. The home has a special history as the creator of Rocky and Bullwinkle lived and created the series here. 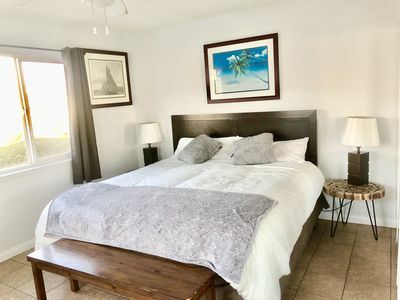 Family and friends will have a relaxing stay at this vacation rental with panoramic ocean views from every level. Fun and modern furnishings and details can be found in each room. 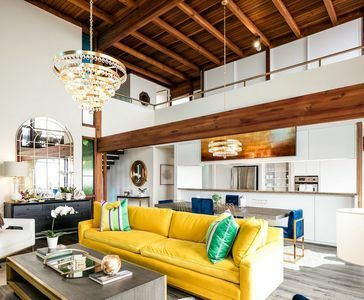 The main level unveils into an open floor plan made up of the living room kitchen and dining area. 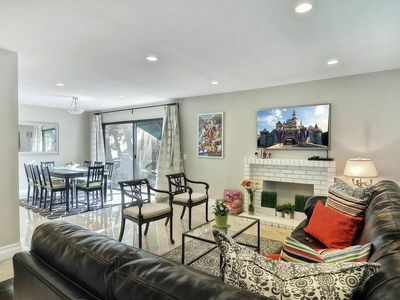 The living room showcases a fireplace and large screen TV. As the ocean breeze picks up at night the fireplace can create a cozy ambiance. 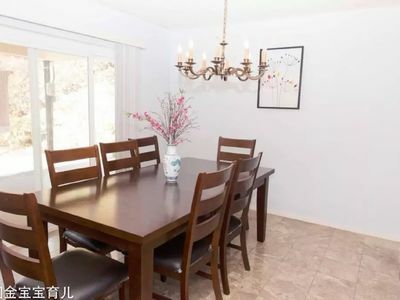 Across the room is a well-equipped kitchen. A chef can whip up their signature dish for everyone utilizing the granite countertops and stainless-steel appliances. 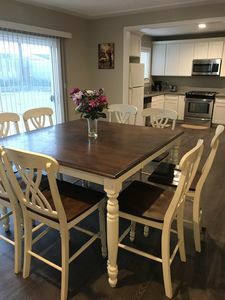 Call everyone to dinner at the dining table with seating for 8. 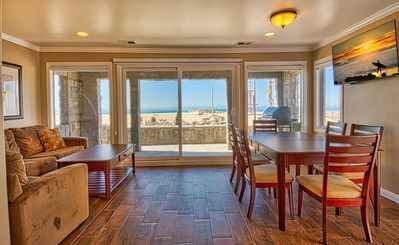 A fabulous ocean view deck is off the main living area and has an outdoor dining table and multiple comfortable loungers. A BBQ is assembled for grilling up a tasty snack. Dine alfresco or bring out a bottle of wine to indulge and get lost in the ocean outlook before you. 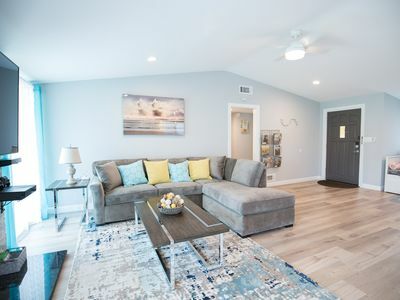 The master bedroom is also on the main level of the home. This bedroom is furnished with a lavish King-sized bed and TV. Head upstairs to find the additional two guest bedrooms. 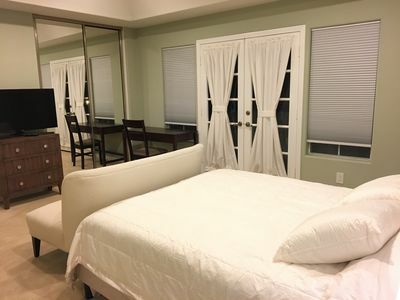 These guest bedrooms both have Queen-sized beds. 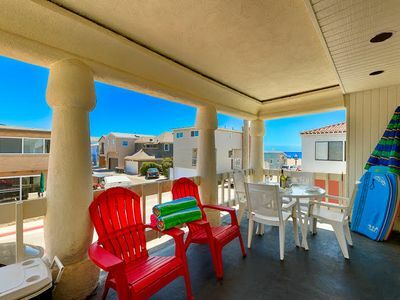 Another ocean view deck is on the top level with loungers to enjoy the beach below. 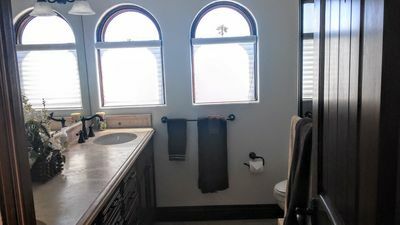 Both bathrooms are prepared with spacious vanities and showers. 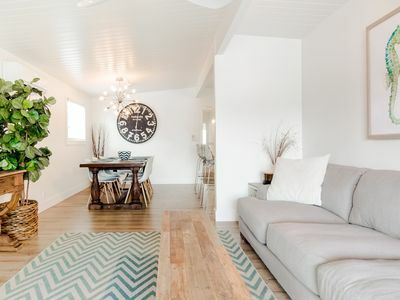 Vacationers will have a wonderful time at this carefully laid out home. 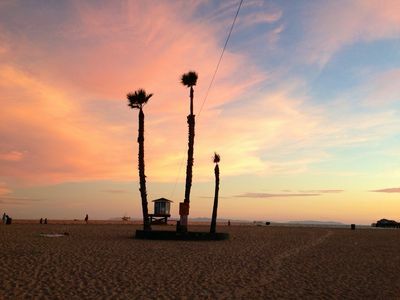 Spend your days walking out your front door to put your feet in the sand and waves. After a relaxing day at the beach you can walk to shops movies drinks and dinner. 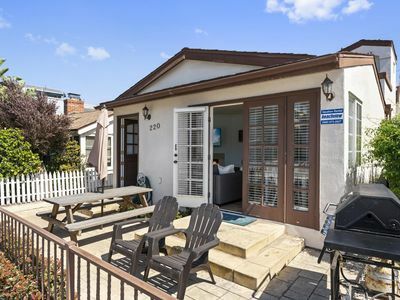 This welcoming Corona del Mar community will have you wishing you could stay forever. 2 designated parking spaces can be found below the home off Breakers Drive. 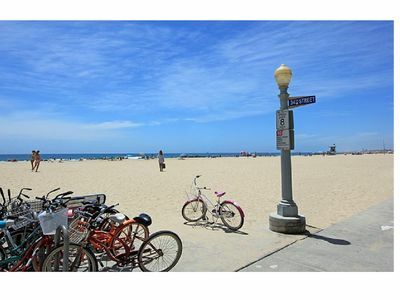 Amazing location with an amazing, newly-remodeled lower unit right on the sand! LAST MINUTE SPEACIAL! Amenities! Pool & Game Room! Close walk to Disney! 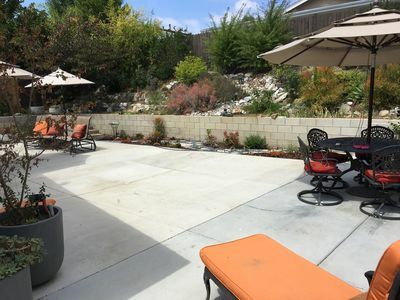 STEPS TO SAND - COMPLETE REMODEL -BIKES/AC/BEACH GEAR!!! 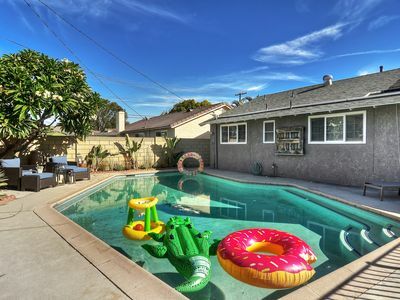 *City Approved: STARFISH BUNGALOW - Summertime In Seal Beach ! BOOK NOW ! 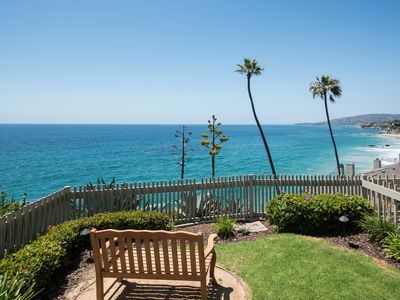 Panoramic Ocean View Townhome with Private Beach Access! 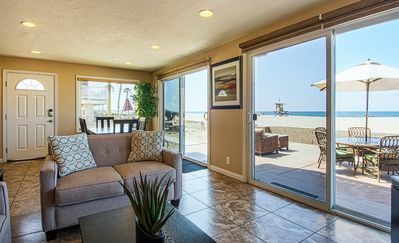 20% OFF OPEN APR+MAY - Beach Home Only Steps to Water, Walk to Pier & More!